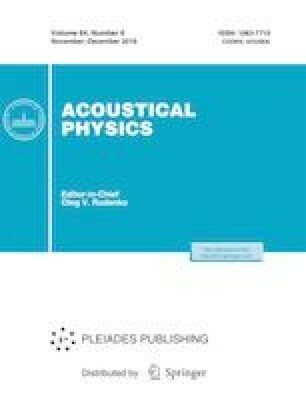 The influence of the position of the pylon on the characteristics of propeller noise has been studied as applied to environmental noise calculations for future aircraft. Components related to propeller noise itself and to a signal reflected from a pylon have been separated in the overall noise produced by the propeller–pylon system at the blade passing frequency, and the interference of these signals has been investigated. A numerical method has been developed based on matching of the following two computational blocks: a rotating domain in the immediate vicinity of the propeller and the outer static domain comprising the pylon. A noise calculation procedure by the integral Ffowcs Williams and Hawkings method has been implemented with the use of the Green’s function for the convective wave equation. The authors are grateful to I.V. Belyaev for his help with the acoustic processing of steady-state calculations. The research has been carried out using the equipment of the shared research facilities of HPC computing resources at Lomonosov Moscow State University  and partially supported by a grant from the RF government pursuant to Decree no. 220 “On Measures to Attract Leading Scientists to Russian Higher Professional Education Institutions,” agreement no. 14.Z50.31.0032. The part of the study related to calculating single propeller noise for steady blade loads was carried out under the State Assignment of the Ministry of Education and Science of the Russian Federation (no. 9.1577.2017/4.6).